Vancouver’s cycle of development and displacement is certainly not unique in the world, but for the Western Front, the realities of this dynamic have become both urgent and deeply personal. The Mount Pleasant neighborhood that has been home to the Western Front for the past 43 years has, for the past decade, been subject to rapid development and branded as central to the city’s “emerging art scene.” Recently we have found ourselves in close proximity, both geographically and economically, to a controversial new high-rise tower in the neighborhood. Opposed by many in the community, in 2014 the developers made a massive “Community Amenity Contribution” to the City of Vancouver—a complicated and impervious process in which developers trade cash for height and density—$1.5 million of which will go to the Western Front. Though these funds will allow us to purchase the 1922 building that has been our home since 1973, our position is a tenuous one. The funding will provide significant security for the organisation and allow us to repay our exceptional artist-landlords for their long-term investment in the arts, but does nothing to address the real issues of hyper-development, real estate speculation and capital accumulation that are coming to define this city. Urgent Imagination was born from a desire to more fully comprehend the machinations we both use and are used by. We are directly implicated in policies that may help us, but do nothing to alleviate the broader economic conditions that pose an ongoing threat to the artistic community at large. This forces the question: What can art possibly do in the face of such an overwhelming capitalist framework? A number of legitimate, albeit deeply disempowering answers present themselves often. 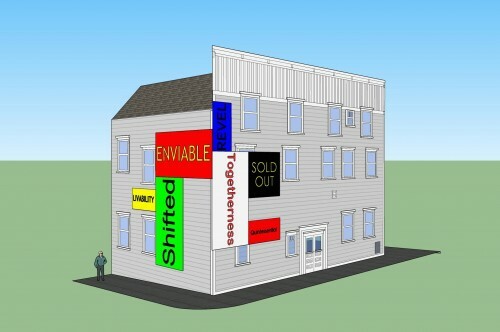 In the artist Martha Rosler’s essay “Culture Class,”  she quotes a Situationist slogan, stating, “Culture is the commodity that sells all the others.” Rosler’s text, which looks at the history and processes through which art has been instrumentalized by neoliberal ideologies, provides context for the prevalent belief that art is the wedge of gentrification. That public art is often used as a marketing strategy or a means to add value to real estate is another well-worn view. Similarly, the wide embrace by policy makers of Richard Florida’s identification of the new “creative class”  as an economic engine is justifiably critiqued as gentrification writ large. Collectively, these responses highlight the complex relations between culture and capital. But does art and architecture not have the power and potential to be and do more? To critically intervene in the processes that simultaneously utilize and marginalize artistic practices? In an interview with the online journal Triple Canopy, Teddy Cruz points to the creative potential for providing critical and thoughtful approaches to urban planning: “As artists and architects, we can contribute to the rethinking of urbanism by designing and conceptualizing political and economic processes. But without an understanding of the conditions that produced this crisis—which can themselves be thought of as the architect’s material—we will just be making public art or decorating the failings of misguided planning and selfish economics.”  So how can art engage or be engaged not simply as content for a system that consistently seeks to displace it, but as a structural challenge to the status quo? How can we propose new conditions for our cities rather than react to those imposed upon us by systems of runaway capital accumulation? Urgent Imagination invites participants Assemble (UK), Nils Norman (UK), Other Sights for Artists’ Projects (CA), Urban Subjects (AT/CA) and Holly Ward (CA) to create innovative development proposals for a different multi-acre site, one block from the Western Front. This city block, now home to Kingsgate Mall, was formerly the site of the 1888 False Creek School, which was knocked down in the early 1970s. 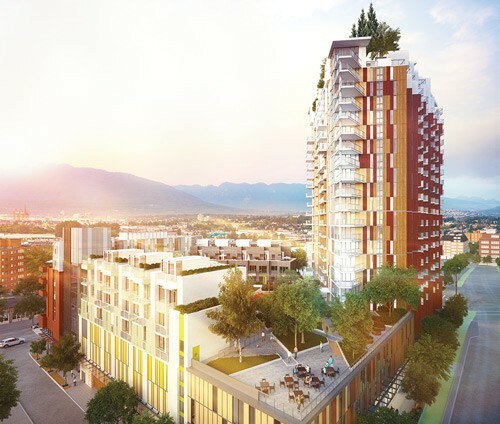 Its size makes it a “superblock,” (that is, a prime development opportunity) and while the site is still owned by the Vancouver School Board, the current lease holders, Beatty Development Group, recently expressed interest in developing it. 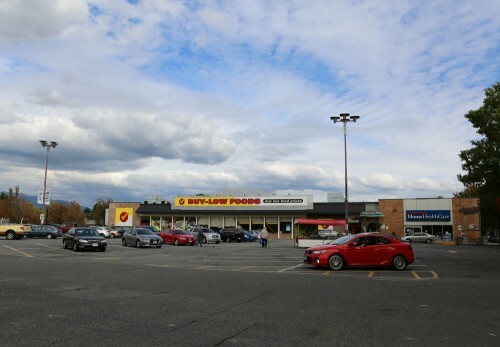 Kingsgate Mall is a single-story structure that contains a grocery store, liquor store, pharmacy and numerous clothing stores—all of which cater to a lower income demographic. It is derided (and also celebrated) as “the mall that time forgot” or “Hellsgate Mall,” and it even has its own satirical Twitter account. The mall’s enduring popularity and ongoing financial viability consistently demonstrate the necessity for its low-cost services in the Mount Pleasant community. With its development eminent, there is an opportunity to imagine development possibilities more radical than the “mixed-use,” “podium-based” condominium tower that dominate this city. As the project has progressed, many of the participating artists have chosen to address larger questions about development processes, rather than focusing on this single, albeit inevitable, future development site. The architecture collective Assemble explores themes of good governance and planning processes. Others, including artist Nils Norman, interrogate how the concept of “design” has become more about marketing than architecture, reflecting on the ideas that are continually used to brand our cities. Holly Ward and Other Sights for Artists’ Projects meanwhile pose questions about transformation, as in a blink, entire neighbourhoods are transformed into tower blocks, breweries and retail chains. Urban Subjects researches historical precedents to engage and propel current conversations about the space around us. Together, these projects propose the necessity for critical art, architecture and design to re-enter our urban plans—they allow us to look beyond the inevitability of the market and remind us that we can ask for more. The artworks generated for this project were intended to be, in part, installed in situ at Kingsgate Mall. Unfortunately, the developers who hold the lease on the property (and who are the most likely future developers of the site), while in support of “art” in general, felt that these works would raise too many questions about the mall’s future. As a result, a number of works are now on display in and around the Western Front’s iconic building, and while not ideal, it is fitting given our role in the community and our own “redevelopment” vis-à-vis our purchase of the building with developer funds. The conference, a key part of the overall initiative, will allow a range of voices to respond to the works created, but also to the broader political and cultural conditions informing urban development today, bringing expertise in planning, development and critical theory to this essential conversation. The Urgent Imagination website will be an ongoing platform for critical inquiry into these issues. It will serve as an access point from which to view the commissioned projects and conference proceedings, and will provide context for the project in light of international conversations on the topic. The Reading List will collect important writing by scholars, artists, architects, activists and policymakers who have informed our thinking on the subject, and this component will continue to grow over the next year, becoming an essential resource for research related to art and its function in urban environments, critical architecture and design, and progressive urban policy. The website will also be a space for the publication of new perspectives. In the coming year, we will commission a number of essays focusing on urban indigenous experiences within the ongoing conditions of capitalism and colonization—a vital aspect often missing in conversations around urban planning and the right to the city. These essays will respond to this context and to each other, creating a body of work that reminds us that cities are not built on “vacant” land. “Teddy Cruz: How Architectural Innovations Migrate Across Borders,” TEDGlobal 2013. Martha Rosler, “Culture Class: Art, Creativity, Urbanism, Part II,” e-flux, Issue 23 (March 2011). Richard Florida, The Rise of the Creative Class (Basic Books, 2002). Teddy Cruz in conversation with Caleb Waldorf, “Learning from Tijuana,” Triple Canopy, Issue 7 (2009). Kerry Gold, “Kingsgate Mall Tagged for Redevelopment,” The Globe and Mail (November 9, 2012). Martha Rosler, “Culture Class: Art, Creativity, Urbanism, Part III,” e-flux, Issue 25 (May 2011). Vancouver Transportation Division. 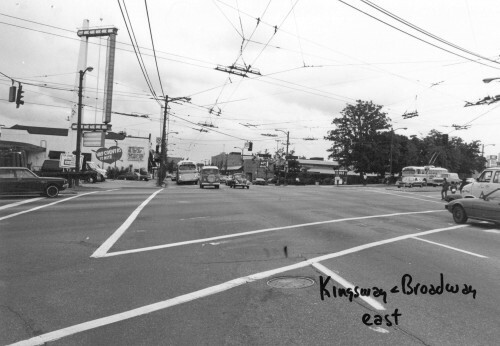 “Kingsway and Broadway [looking] East,” between 1980 and 1997. COV-S505-1-: CVA 772-962. Image courtesy of the City of Vancouver Archives. 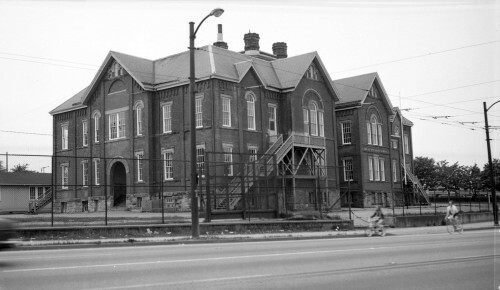 Frost, Walter E. “Mount Pleasant School [Broadway and Kingsway],” June 4, 1972. AM1506-S1-: CVA 447-255. Image courtesy of the City of Vancouver Archives. Kingsgate Mall, Buy-Low Foods, looking east from Kingsway, Vancouver, 2015. 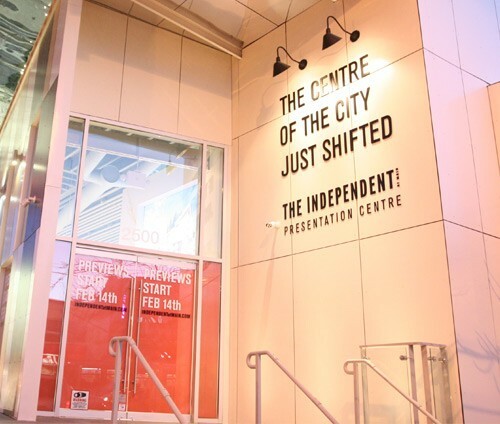 Promotional image for The Independent at Main, RIZE, from www.independentatmain.com. Showroom for The Independent at Main, RIZE, from www.independentatmain.com. 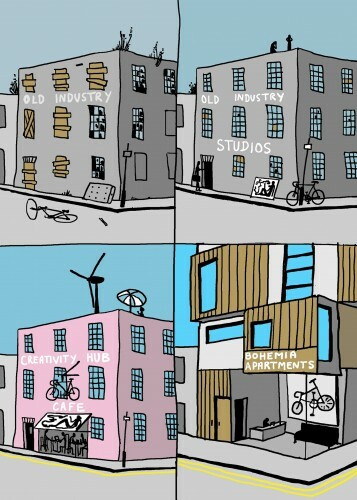 Grayson Perry, “Gentrification”, Playing to the Gallery (Particular Books, 2014). Nils Norman, “Proposal for Western Front,” August 2015. Image courtesy of the artist.